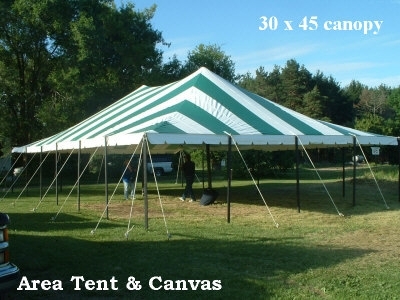 Need help choosing a tent size? 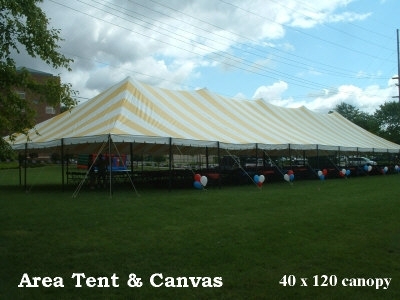 The best starting point for selecting a tent size is the number of guests planned for your event. Enter the number of guests you expect and let us suggest a tent size. You will also find out more about needed square footage, table layouts and more! 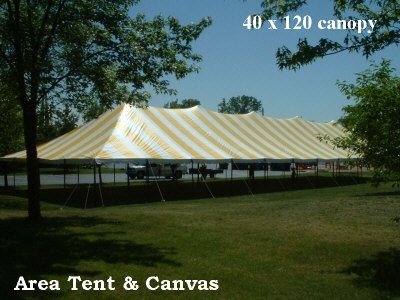 Since 1982, Area Tent & Canvas has been providing the highest quality party tent/canopy rental in Mid-Michigan. 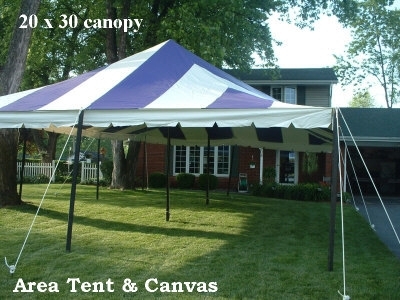 We offer a wide range of tents and sizes to accommodate you in your event with 22 different sizes (including sidewalls) from a small 10x10 backyard canopy to the massive 45x135 for those large events. In addition, ATC can provide tables, chairs, dance floor, and lights.Whether you are planning for 20 or serving 600, ATC’s inventory of tents and tables/chairs will surely make your event a success. From ATC's arrival, we set up the entire rented package at your event location. You are never left to struggle on your own. Our crew is fast and efficient, and will make your location spring to life! Call for details. 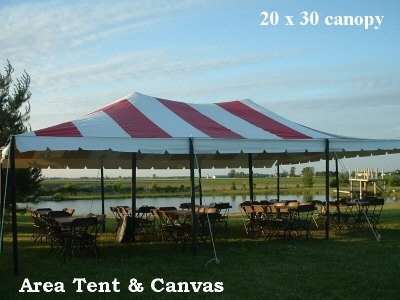 Area Tent & Canvas takes pride in the event successes it has planned and coordinated over the past three decades. Our motto: "Best in the Area!" Give us a call to answer all your questions/concerns and make your reservation.